Have you noticed that you ask and you ask and you still aren't getting any referrals? And the referrals that you are getting aren't even interested in your service or product! No stranger to business ownership Sue has traveled the sometimes rocky terrain for over two decades. She started an employment agency in 1990, grew it into a $5 million company, and successfully sold it after nine years. Since 2000, she has owned a profitable coaching practice guiding clients to nurture their business relationships and create dramatic sales growth. “Marketing your business and attracting client shouldn’t be a struggle,” says Sue. 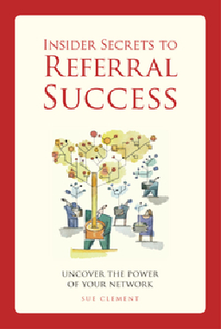 Her book, Insider Secrets to Referral Success, highlights the powerful, yet simple Referral Success formula she has applied to guide her own business success and supports clients along their journey. On the show Sue offers a Complementary Marketing Session to help you to figure out your next steps or your ideal client. Go to her website www.SueClement.com/strategy.php to fill out her online questionnaire the space is limited so fill it out right now and make the best of this awesome offer! 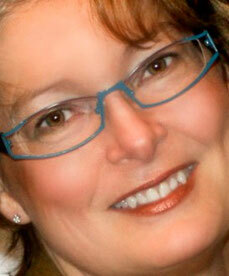 Listen in to hear Sue's Referral Formula! Our next Live show will be at 1:30 pm PST April 23rd! Please Do Share! That's what referring is all about!